[post_ads]The 18-year-old Minor, a political science major from Locust Grove, Va., was in the third week of Maine's Freshman Workout. Training staff and first responders were unable to resuscitate him. "Words cannot express the grief we have following this tragic loss," Maine head football coach Joe Harasymiak said in a press release. 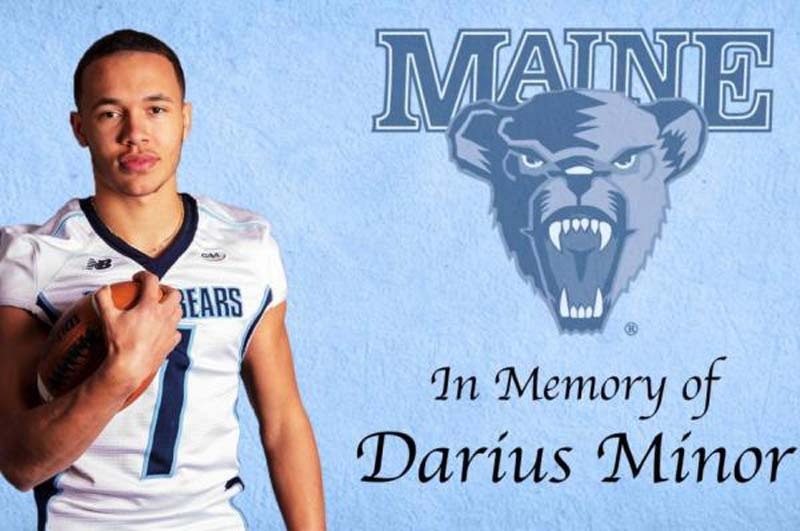 "Our thoughts and prayers go out to Darius' family and friends during this terrible time." Minor was one of 17 first-year student-athletes participating in the supervised light workout in T-shirts and shorts on a humid day with temperatures in the low 80s, school officials said. Interest in Minor picked up in the summer before his senior season when he ran a 4.38-second 40-yard dash at a Rivals camp in North Carolina, and he also was offered scholarships by Virginia Tech and James Madison University. Minor was a first-team All-Central Virginia selection as wide receiver and a second-team choice as a defensive back in his senior year at Orange County High School. He also was his football team's kicker and leading scorer on the school's soccer team.